Hire the top 3% of freelance CakePHP developers. Toptal is a marketplace for top CakePHP developers, engineers, programmers, coders, architects, and consultants. Top companies and start-ups choose Toptal CakePHP freelancers for their mission-critical software projects. CakePHP is an extensive framework whose feature set has continued to grow substantially since its initial release in 2005. As a result, fully mastering its capabilities can take some time, which makes finding true CakePHP experts a real challenge. Finding them requires a highly-effective recruiting process, as described in our post on Finding and Hiring the Best in the Industry. Such a process can then be augmented with questions – such as those presented herein – to identify those candidates who have truly mastered CakePHP. Q: How do CakePHP conventions and Object-Relational Mapping (ORM) help streamline queries? Also discuss any potential pitfalls. CakePHP’s Object-relational mapping (ORM) benefits greatly from CakePHP conventions. By setting out the database schema to Cake’s standards, you can quickly connect tables together through Cake’s powerful ORM. You rarely need to write an SQL statement, as CakePHP handles things like table joins, hasMany, and even hasAndBelongsToMany relationships with ease. Overall, Cake’s ORM really does help streamline development and, if used correctly, is an amazing tool for building complex queries quickly. It is nonetheless vital that developers take the time to fully understand the ORM and to ensure that their queries are are properly optimized (as is true in any language). The challenge with the ORM is that it makes using SQL so simple that, if a developer isn’t careful, he or she can write inefficient SQL queries without meaning to. These problems tend to surface after a system has been deployed, as databases grow and badly written queries become increasingly slow. 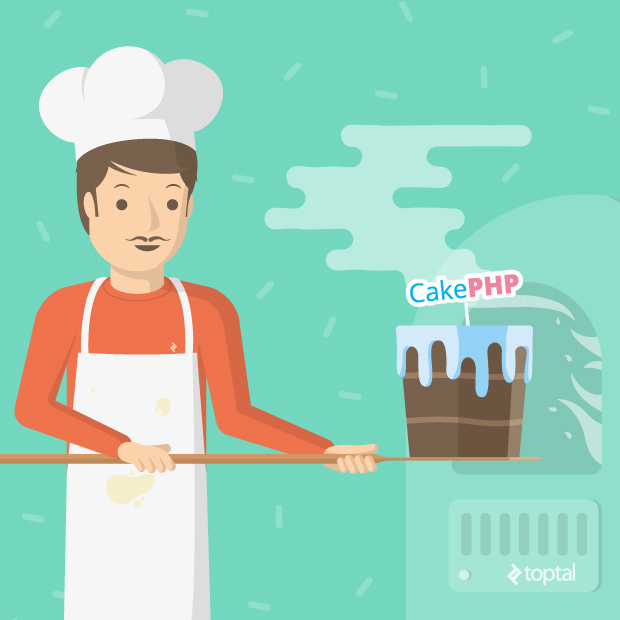 Q: What are CakePHP Helpers? List the 10 types of Helpers that are available and, using the FormHelper as an example, describe how Helpers can be used to speed up development. CakePHP Helpers are component-like classes for the presentation layer of your application. They contain logic that can be shared by many views, elements, or layouts. By encapsulating commonly used functionality in reusable form, CakePHP Helpers help speed up development. A great example is the FormHelper, which creates your form input fields based on your database table schema set up. For example, a TINY INT field will automatically be mapped to a checkbox, while a TEXT field will automatically be mapped to a text area. By ensuring that the FormHelper names match the same names as in the database table, the form will automatically be created. Using your data validation rules, CakePHP will automatically display error messages next to the form input if the data validation fails. All that is required is for the developer to match the form input to the fields in the database. With a little bit of help from the controller, the data will then automatically be saved to the database once the validation has passed successfully. Q: What are Components and what are the benefits of using them? Provide an example of how you would access a component via a controller. Components are logical modules that are shared between controllers. CakePHP comes with its own set of core components for common tasks and you can also create your own components. Creating and using components can help keep controller code clean and facilitates code reuse across and between projects. For example, you might want to create a custom “shopping cart” component for use across multiple controllers in an e-commerce application. Q: What are Behaviors and what are their advantages? List the 4 Behaviors supported “out of the box” in CakePHP. In much the same way that a Component extends a Controller, a Behavior extends a Model. Behaviors enable you to separate and reuse logic that performs a type of behavior, and to do so without requiring inheritance. As an example, consider a model that provides access to a database table which stores structural information about a tree. Removing, adding, and migrating nodes in the tree is not as simple as deleting, inserting, and editing rows in the table. Rather than creating those tree-manipulation methods on a per model basis (for every model that needs that functionality), we could simply attach the TreeBehavior to our model. You can also create your own behaviors. Behaviors can be a great way to keep a clean code base and keep your code out of your controller. A good example is the open source ImageUploadBehavior which allows for a very simple image or file uploading. By specifying a few rules in your model file, files will be automatically validated and uploaded, with no extra code required in your Controller file. An added plus of that particular behavior is that it uses PHP Thumb to automatically resize any image uploads. Q: How would you handle nested data in CakePHP, such as a category tree? Creating a category structure which goes unlimited levels deep is a good example of where the CakePHP’s TreeBehavior can come in handy. By setting the parent_id field when you save the data, the lft and rght fields will automatically be populated. The lft and rght fields follow an MPTT (Modified Preorder Tree Traversal) structure. Q: How do you perform data validation in CakePHP? CakePHP simplifies data validation, enabling you to specify in your model file the data validation rules for each of your database tables that are universal for that model. This adheres to the DRY (Don’t Repeat Yourself) principle by enabling you to just specify the rules once and then have them apply across the entire model. Note in particular the allowEmpty key in the 'dob' array which allows the field to be empty. Based on these validation rules, the dob field can be left blank, but if a date is entered, it will be checked to confirm that it is a valid date value. Q: Provide some examples of folder and file manipulation in CakePHP. Often challenging with standard PHP alone, the Folder & File Utilities are useful if you need to create, upload, or manipulate folders or files. Q: What are some advantages of the “Fat Model, Skinny Controller” approach? Provide an example of how you would use it in CakePHP. “Fat Model, Skinny Controller” - often advocated by Ruby on Rails developers - is an approach within the Model/View/Controller (MVC) architectural paradigm whereby logic should predominantly exist within the model. This relegates the “skinny” controller to its intended role as a controlling interface between the view and model. This controller action is fine for a simple add, but what would happen if you wanted to do things such as send an email to the admin when a post was added, or update another model association when a post was added? This is additional logic, but this logic shouldn’t go in the controller file. As you can see, the new action is actually one less line, because the $this->Post->create() has been moved to the model file, helping achieve clean and concise code. Q: How does CakePHP handle authentication and user login? Provide a code example. CakePHP has a built in authentication component (AuthComponent) that makes setting up a user registration and login system very straightforward. By setting up a users table with a username or email field and a password field, a programmer can quickly incorporate authentication into their application. CakePHP also handles password encryption, providing several different classes for encryption including B crypt and digest authentication. CakePHP also has some advanced methods for doing things such as logging users in automatically. Note how simple it is. The code simply looks for a post, and then calls the Auth->login component method which logs the user in. Just set the form with the username and password fields, and CakePHP handles the rest. Q: Provide an example of how you would use CakePHP’s callbacks. CakePHP callbacks enable you to manipulate or check data before a model operation. Examples include before validation, before save, after save, before delete, after delete, and after find. The afterFind callback will take the data returned from a find query, and change the format of the date. In this example, we set the date to be in the d-m-Y format – perhaps preparing the data for going into a date picker or something similar. This code will be called before the data is returned to the controller, so it allows us to manipulate data before we receive it in our controller. // Be sure to return true, or your save is going to fail! Q: What are Virtual Fields in CakePHP? How and why would you use them. Provide an example. Virtual Fields allow you to create arbitrary SQL expressions and assign them as fields in a model. These fields cannot be saved, but will be treated like other model fields for read operations. They will be indexed under the model’s key alongside other model fields. Virtual fields do not come without any penalty though. Their downside is performance. This should be kept in mind when creating virtual fields, as the more complex your virtual field, the more impact on query performance the virtual field will have. The questions presented in this guide can be highly effective in evaluating the breadth and depth of a developer’s knowledge of the CakePHP framework. It is important to bear in mind, though, that these questions are intended merely as a guide. Not every “A” candidate worth hiring will be able to properly answer them all, nor does answering them all guarantee an “A” candidate. 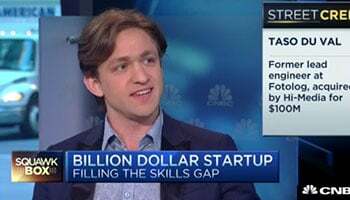 At the end of the day, hiring remains as much of an art as it does a science.